Good evening everyone! I thought I'd take a moment and show off the rest of the cards I pulled from the case of 2016 Prime Cuts baseball that I opened down in Alabama. 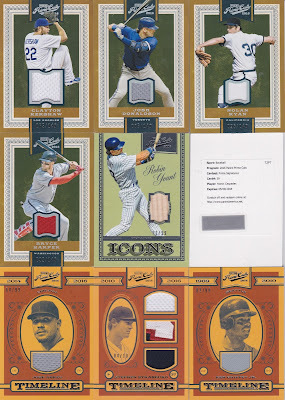 First up, some relics and a redemption! So they go horizontal with the bigger relics, although I still see no rhyme or reason to it. I'm sure somewhere there is, but I just haven't figured it out yet. Greg Bird relic numbered 99/99, cool. And finally a nice PC addition for AJ Reed. Oh man I hope he breaks out this year! Next up, one of the cooler pulls, a HOF'er in Boggs with his triple relic. 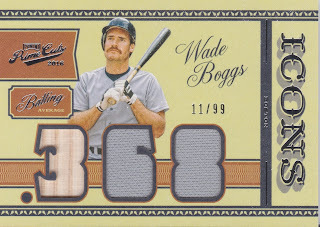 This card reminds me of Triple Threads, but better... I'm really cooled on TTT due to the watering down of the subjects and relics. Just isn't what it used to be. For my money, Prime Cuts is leaps and bounds better than TTT even without logos. Say all you want about Canseco, but the man has a great autograph, fills the sticker and includes his jersey number. 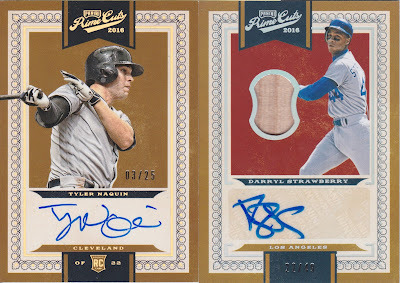 Nice double relic and again #'ed out of 25. Can't argue with HOF relics with Kiner and Pee Wee. Overall, I LOVED this product. It gave me some great hits obviously, and after watching many other cases get busted, I'm fairly certain I got a VERY VERY VERY HOT CASE. I count myself lucky and blessed for sure. As of yesterday the Griffey is sold and on its way to a collector in Arizona. That one alone paid for well over half the cost of the case and I know that if I ever decide to sell that Gehrig, I'll more than pay for another case or two. But as for now, the Gehrig is staying in my collection, along with the two books I pulled from BigHit Sports Cards in Spanish Fort, AL during my time living there. Part of the joy is in having pulled it myself, the rest of it comes from a fantastic card that will look great in my display case. Well, I certainly hope you all have enjoyed the spoils of the case. 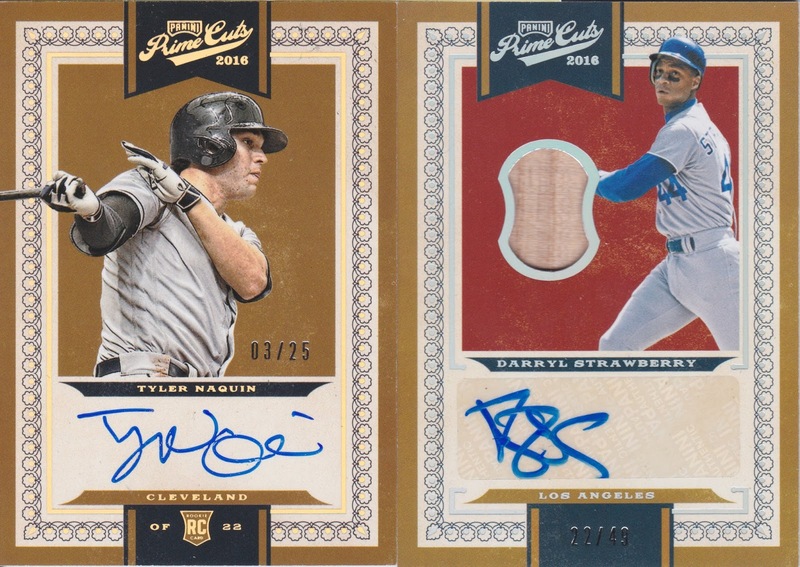 Again, if you would like to trade, the only ones I'm keeping are the Gehrig, Ryan and AJ Reed.